Most of these unique places to stay in Canada are thanks to the country's vast and varied natural environment. 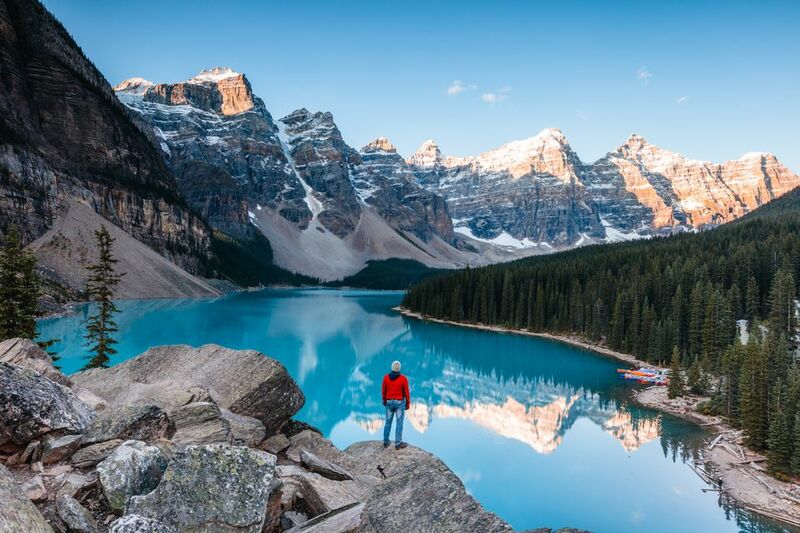 Try something other than your standard Holiday Inn to give your visit to Canada a touch of adventure and authenticity. Each year in Quebec City, the cathedral-like hotel is carved entirely of ice, including the furniture and even ice candelabras hanging from the 18 ft ceilings. Generally, the Quebec Ice Hotel's season is from January to the beginning of April. The walls are 4 feet thick and insulate the hotel to a crisp but comfortable 28 to 23-degrees Fahrenheit. Visitors may choose to just pass through for a tour and a drink at the ice bar or stay overnight. Ontario Parks has introduced yurts at a number of their locations, including provincial treasure, Algonquin Park. These canvas-covered shelters sit slightly up off the ground and house hardwood flooring, beds, table & chairs and have electric heat and lighting plus other conveniences. They offer a great alternative to tents, especially in inclement weather or with a family or just for those who want some added luxury in the wilderness. Quebec Parks also features yurts. Not quite a treehouse, Free Spirit Spheres are pods that hang from thick forest trees on Vancouver Island. Free Spirit Spheres not only offers accommodation in Qualicum Beach but also sells the equipment to build your own sphere. Qualicum Beach offers handy access to Vancouver and Victoria along the Strait of Georgia. The town is sleepy and small with a large retirement population. The Vancouver Aquarium offers packages designed both for families with children and for couples. Visitors can enjoy educational programs and then bed down for the night right in front of the marine tanks. Set right within lush and large Stanley Park in the city's downtown, the Vancouver Aquarium is a non-profit organization dedicated to the conservation of aquatic life. It is open 365 days per year. King Pacific Lodge is moored in Barnard Harbour, BC, atop a floating barge. The lodge is known for giving access to Coho and pink salmon, saltwater fly fishing as well as its ecologically responsible approach to tourism. In addition to offsetting the carbon emissions of all lodge operations and employee travel, lodge owners aim to offset guests' air travel to and from the lodge for a truly carbon-neutral vacation. Get behind bars for the night with no criminal record. The Ottawa Jail Hostel is a historic building in downtown Ottawa that has the distinction of having operated as a prison for more than 100 years. Today, youths and the young at heart can stay in dorm rooms, private rooms or spring for the Warden's Quarters, a self-contained apartment. This native North American style of accommodation is available at a number of resorts and campgrounds where native populations are prevalent. Manitoulin Island, for example, the largest freshwater island in the world and home to a significant number of First Nations peoples, offers teepee style lodgings, as does the Goldenwood Lodge in British Columbia. Sounds cliché, but Canada actually has igloos for visitors who may find the Quebec Ice Hotel too luxurious. A number of northern destinations offer overnights in these snow houses, often as part of a dog sledding, snowshoeing or other winter adventure packages. Try provincial or national park websites or the Igloo Hotel near Quebec City. Canada West Mountain School in BC runs courses on winter camping, where the truly adventurous can build their own igloo. Canada has more coastline than any other country, so it goes to reason that lighthouses are plentiful. Lighthouses are most prevalent in Eastern Canada, namely the maritime provinces, Nova Scotia, New Brunswick, Prince Edward Island and Newfoundland, and there's at least one in Ontario. Just make sure the hotel is not "Lighthouse" in name only if you want to sleep in an actual lighthouse. There are also Lighthouse Inns in Newfoundland. Canada has a massive system of interior lakes and rivers, making it ideal for houseboat travel and a unique way to see the country. Anyone 25 or older with a valid driver's can rent one. license Several websites layout houseboat vacation ideas across Canada, such as Canada Houseboat Vacations or Houseboat Adventures. Can't sleep the night in a tent. These yurts will seem like luxury.